Reach for the stars with these glamorous medium-size party plates, a versatile option for a variety of special occasions. 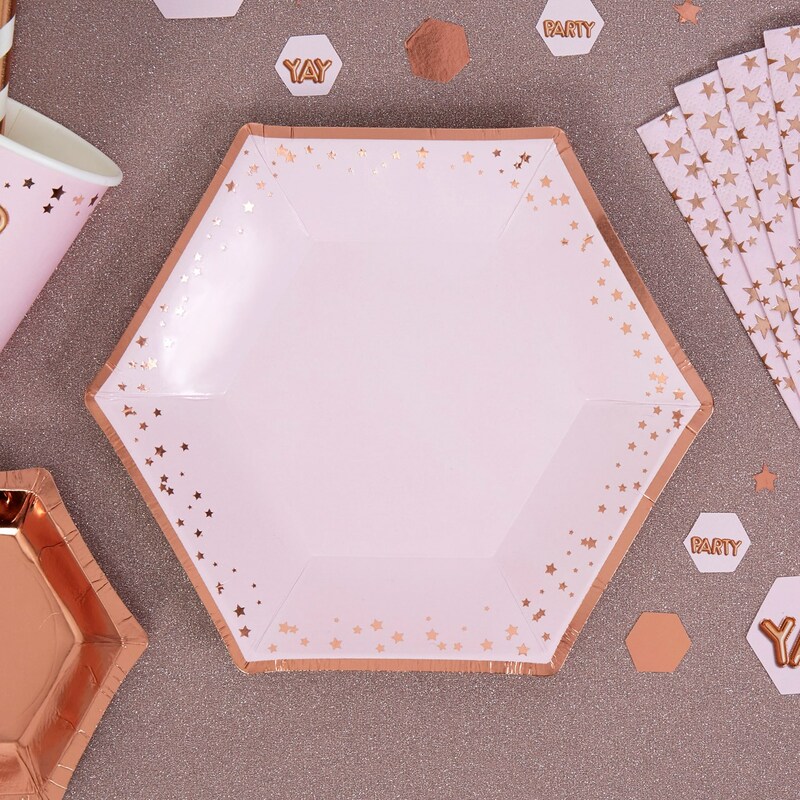 The unusual hexagonal design plates in a pink and rose gold colour are decorated with a simple scattering of rose gold foil stars around the edge. Ideal for any party occasion they can be combined with other pieces in the collection to create a co-ordinated party theme. Each pack contains 8 Plates, measuring 200mm.